Welcome to Eden Park Garden and Lifestyle Centre’s online guide to gardening, recreation and lifestyle. Providing you with creative options and ideas, special offers plus personal and contemporary touches. For that essential lifestyle improvement whether it be indoor or outdoor, there is something for everyone. For a Garden and Lifestyle Centre that is specifically designed around you to uniquely compliment your environment. The business, which was originally established in 1882, and to date the company is now in its 5th generation. This is due to traditionally family business and values that have helped grow and develop the company throughout the 125 years in which it has been running on the Isle of Man. 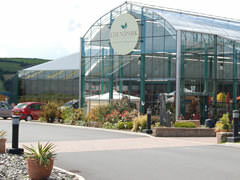 In 2004 JR Riley LTD left Quines Corner and developed into Eden Park Garden Centre in March 2005, in which opening a new and exciting era in the family business.